What is “good” practice? Here are my thoughts. Tell me yours. Posted December 30th, 2016 by John Higgins & filed under Articles. How many times have you heard the old saying: practice makes perfect? If this is indeed true, then why doesn’t everyone perform perfectly every time, or even most of the time? What is going on? I have been attempting to find out the answer(s) to this question my entire professional coaching career (45 years) and it has certainly proven to be an interesting endeavor. Not all “practice” is created equal. Going out and shooting the course with friends is not practice. It is shooting the course with your friends. You must practice the “How”, “What”, and “Why” of your game. You have to know, understand, and explain: how to do (everything) correctly, what you need to do, and why it needs to be done. It takes time and effort – usually much more than you think it should. It takes really good instruction. Learning how to shoot correctly and consistently is not common knowledge and it is very difficult to teach yourself. Most people do not take lessons (or not enough really good lessons). Everyone has limitations. Some people will only ever be average. There is nothing wrong with that! The list could go on forever, but there is no need to do that. The most important thing to remember about shooting sports (or any other sport for that matter) is to have fun and enjoy what you are doing. Decide how much effort you are willing and able to put into becoming better and make the commitment to get it done, one step at a time. If you have any questions about practice,lessons, or shooting sports in general – feel free to contact me anytime! A great day in Grand Forks, ND with fellow CSM instructors: Donny Roth, Rhonda Young, and the late Don Dietrich. Posted December 22nd, 2016 by John Higgins & filed under Youth Benefits of Shooting Sports Participation. Opposition: Why is there so much opposition to shooting sports, especially where youth participants are concerned? Safety: While this may seem a rather obvious starting point, you would be amazed at how many safety violations regularly occur on the sporting clays course on a regular basis. Tradition: The United States has a rich tradition of hunting and shooting, and learning more about sportsmanship, ethics, and safety only adds to that tradition. The Great Outdoors: In order to to develop a true awareness of what the environment is, a child must become participants within it to gain a clear understanding of it. Excitement: Shooting sports can offer fun and enjoyment to a new degree (in a safe way) for all who participate. Solid Programs: A good shooting sports program provides participants with a sense of gratification and achievement of mastering a challenge. Competition: Shooting is an individual sport and provides the opportunity to compete against your own personal best as well as against others. Adaptive Sport: Shooting sports can be easily adapted for participants with disabilities. Misconceptions: Participation can help dispel the confusion between a “gun” and a “weapon”. Recreation: Everyone needs recreational activities that can be a lifelong pursuit. Contact me at jchiggins@reagan.com if you would like a copy of the entire article. Posted July 8th, 2015 by CSM Instruct & filed under CSM Events. If you have always wanted to try your hand at sporting clays or to learn more about the game, now is the time! 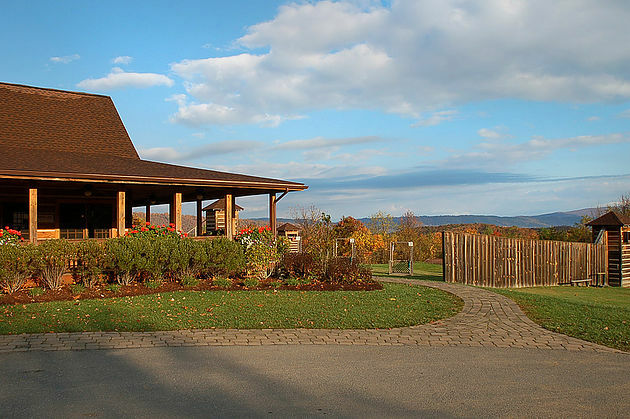 On September 12, 2015, CSM will be hosting a Ladies & Clays Shooting Academy. More than just an instructional clinic, Ladies & Clays is a fun, social event that will introduce you to all that our sport has to offer. Learn more about what makes sporting clays such a great activity! 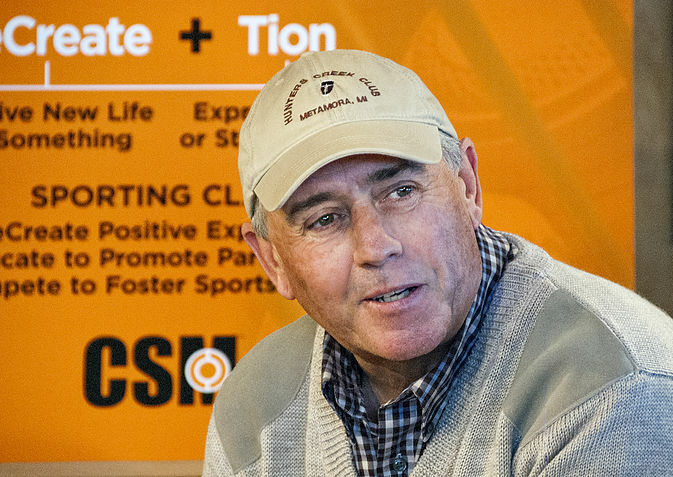 Two of our superb instructors, John Higgins and Donny Roth, will be on hand to provide training and answer any questions that you may have.Ladies & Clays is a one-day course that will be held at Rocky Creek Sporting Clays in Richburg, SC from 10am until 5pm. Posted July 3rd, 2015 by CSM Instruct & filed under CSM instructors. We had a fantastic group of instructors take part in the CSM instructor training and certification course in Grand Forks, ND on June 26-28, 2015. Everyone had a great time, and it was a privilege to be invited to teach and shoot with such a dedicated group of ladies and gentlemen. 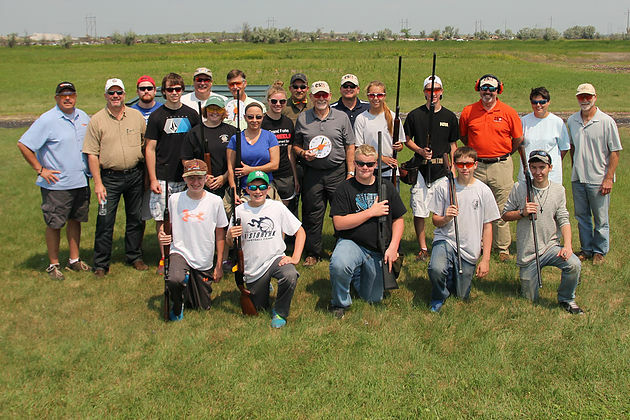 We would like to extend a heartfelt thank you to Don Dietrich, the Dakota Hunt Club, the Grand Forks Gun Club, and all of the generous sponsors who made this class possible. The main focus of this course was the development of new clay target programs for youth and lady shooters in the state. In just a few short weeks there will be seven new high school trap teams, and the hunt club boasts a ladies’ league that has over 30 participants. We are extremely pleased to be chosen as the education provider for these new programs.We are over the moon to announce the formation of the North Dakota Amateur Clay Target Association or NDACTA. This is the first state association dedicated to the promotion of all the clay target sports for both adult and youth shooters that focuses on Recreation, Education, and Competition. For more information about the Amateur Clay Target Association, please contact John Higgins at 912-656-1589 or jchiggins@reagan.com. Posted May 15th, 2015 by CSM Instruct & filed under CSM certification program, CSM instructors. 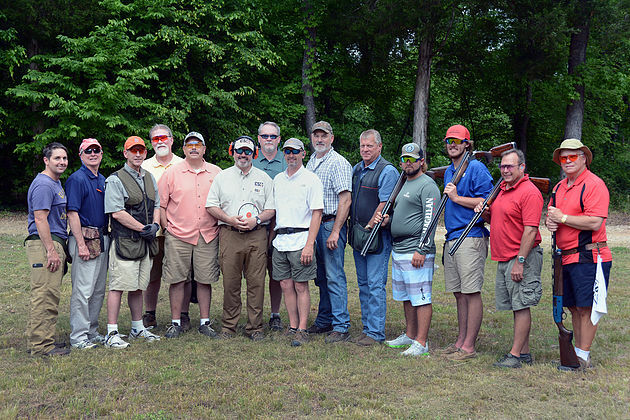 The first CSM Instructor Certification Course of 2015 was held at Rocky Creek Sporting Clays on May 15-17, 2015. The newly revised and expanded curriculum was introduced and received with overwhelming enthusiasm and excitement by instructors from NC, SC, and TN. CSM is only possible because of the growing number of talented and dedicated coaches and instructors that are taking part, spreading the word, and most importantly striving for excellence in shooting instruction. We would like to send a special thank you to the student shooters for their patience, positive attitude, and support for our program. We would also like to thank everyone at Rocky Creek for hosting our event, you did a great job. Posted May 6th, 2015 by CSM Instruct & filed under CSM instructors. Since the NSCA has released their new instructor certification manuals, I have been repeatedly asked for my opinion on the program and curriculum. I’m not really sure why anyone would ask me since I have no affiliation with the NSCA, and I did not have any input regarding the development of the current programs or curriculum. I have taken the time to carefully read both the Level 1 and Level 2 manuals, and they are not even close to the standard that I expected from the national governing body of the sport. It is regrettable that after 25 years, this is the best that can be done. The mission and purpose statements sound good, but when you take a critical look at the actual program and curriculum it becomes clear that they are in no way adequate to achieve the established goals. All that has been achieved with the new manuals is the creation of improved means to unimproved ends. The curriculum is full of redundant, and often irrelevant information. In my opinion, the NSCA should and could provide instructors and shooters with a better program. Why do we continue to accept mediocrity from the national governing body of the sport? Why should an expert driven, unexceptional curriculum with outdated, incorrect information set the national standard? The reason I started the CSM instructor training and certification program was to provide a better, stronger, and more complete curriculum than the NSCA model. I have been amazed at the number of talented instructors out there who feel deprived of the knowledge, and tools that they need to critically analyze and shape their teaching skills. The CSM program is constantly compared to the NSCA, and there does not seem to be any way to avoid it. However, there is no real comparison. 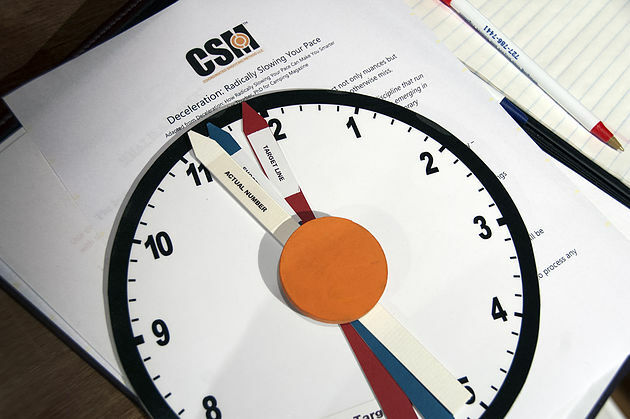 CSM is the best instructor training program available and will continue to offer classes and seminars that provide instructors with advanced teaching techniques and creative ideas to enrich their coaching programs. I would like to extend a heartfelt thank you to all of the instructors and students that have supported CSM. June 15 will mark the one-year anniversary of the instructor certification program, and it would not have been possible without your commitment and dedication. Posted April 27th, 2015 by CSM Instruct & filed under CSM instructors, CSM seminars. 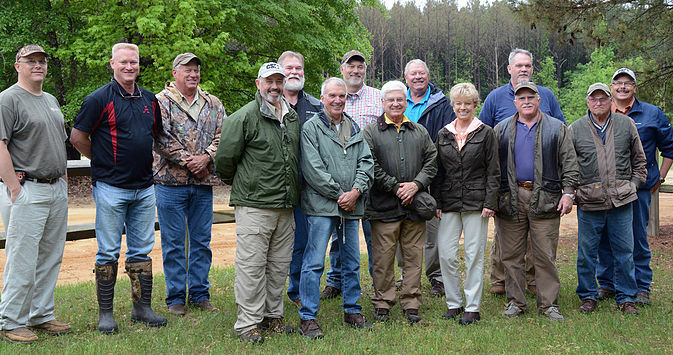 The first of a series of CSM seminars for instructors and coaches was held on April 25, 2015 at Hermitage Farm Shooting Sports in Camden, SC. We were very pleased to have such a great show of interest and support. Thanks to everyone for attending. CSM is possible because of the growing number of talented and dedicated instructors and coaches that are taking part, spreading the word, and most importantly doing a great job. Our first instructor training and certification course for this year will be in May, so we organized the seminar as a preview of the new course materials for current instructors as well as those taking the class in May. We were able to introduce several concepts such as the Coordinated Body System, Performing with Balanced, Coordinated, and Controlled Movements, and Recreation Education, which were not in the previous edition of the manual. Additionally, the revised course manual is fully illustrated with color drawings, charts, and diagrams that instructors and coaches will be able to use as teaching tools. We will be posting blogs about the different chapters and concepts in the manual, as well as adding a book preview to our website. We will also be hosting additional seminars later in the year. If you would like more information, or have a question about the course or shooting in general, please send us an email. Thanks again to everyone who attended the seminar, Joe and Amy Cantey of Hermitage Farm, and to Mike Jones for the fabulous lunch. Posted February 12th, 2015 by CSM Instruct & filed under CSM certification program. 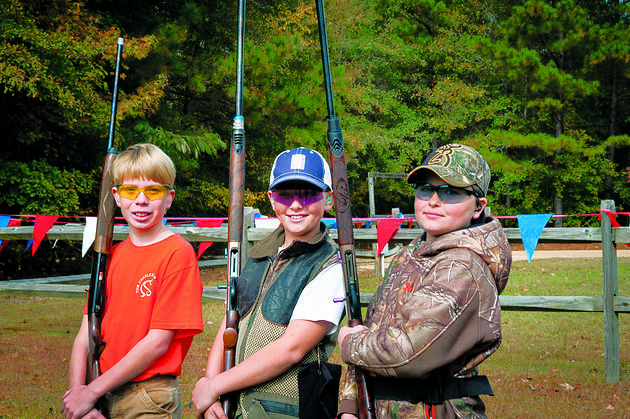 There is a growing level of interest in getting more young people involved in shooting sports. In fact, many of the instructor certification classes that I teach are strictly for youth coaches. I always make a point of stressing the importance of recognizing and promoting the positive benefits that shooting sports can have for youth participants (or participants of any age, for that matter). Shooting sports can provide exactly the same benefits as other more widely recognized adventure-based, outdoor activities such as white water kayaking or hiking. However, the benefits of shooting sports remain largely ignored and are not usually promoted in shooting sports literature or in training programs. Instead, the focus is placed on competition or hunting. Shooting sports offer a fun-filled, exciting, and challenging venue for learning some of the most important values of our society. A greater sense of personal and social responsibility, the value of respect, a feeling of pride in the hunting traditions of our country can all be learned on the shooting range or in the field. Solidly based shooting programs always bring other rewards and benefits as well. There is a distinct feeling of accomplishment and gratification when any art is even partially mastered. This is especially true when dangerous activities are safely managed and conquered. Think of all of the so-called “extreme sports” that are attempted. Why do folk do that? They do it to get the feeling and knowledge that they have accomplished something difficult or unusual, and done it well. Coming home safely from a successful day of shooting sports activity ranks right up there with the most extreme “X-Game”. This post only covers a few of the innumerable positive benefits of shooting sports. The benefits are real, and far outweigh any negatives or objections that may be raised. The shooting community just needs to do a better job of advertising the positive benefits, and the enjoyment that shooting brings to those who choose to participate. Posted February 2nd, 2015 by CSM Instruct & filed under CSM certification program. People often ask me where the idea for the Coordinated Shooting Method (CSM) came from. I usually just say that it evolved over many years spent as an apprentice, a shooter, and as a coach. Now that I really think about it, CSM has taken almost 60 years to come about. I had the good fortune to apprentice with Edward Chadfield of the Yeaveley Shooting School, which he founded in 1957. By the time I was old enough to start shooting, Edward had been teaching wing shooting and sporting clays for a number of years. He took me on as a student and later, as his only apprentice. Over the years, Edward had come to the conclusion that the standard wing shooting techniques of the day were unreliable for teaching sporting clays. He developed his own unique style and method of teaching that I like to call the Chadfield Method of Perceptive Shooting. He did not rely on teaching by method (pull away, pass through, sustained, or other). Rather, he encouraged each student to decide where to “miss it to hit it”, and he quickly realized that harnessing the perception of each student was a more effective and powerful way to teach. Unfortunately, Edward never wrote a book about his teaching style and theories. I was able to learn from him directly and take his ideas forward and incorporate them into my own teaching philosophy, which has evolved a great deal since I came to the U.S. in 1991. In 2013, I finally decided to try to put my teaching philosophy and style down on paper. I soon realized that the task was easier said than done. Even though I have helped a vast number of students over the years, and coached a few world champions, I did not have a simple, consistent and concise message. The real challenge came in trying to figure out how to make the necessary changes. I can honestly say that few things in my professional career have been more challenging than this. I consulted a colleague of mine, Rhonda Young, who has a degree in recreation and asked her to read over some of the literature regarding shooting instruction and take a few lessons to get her opinion. Her opinion was that we should create a shooting instruction program that was designed like an outdoor recreation program. We decided that we could incorporate Edward Chadfield’s ideas, add my teaching philosophy, and create a new style of teaching that focuses on the learning process, rather than strict adherence to methods. The result was the Coordinated Shooting Method, which really isn’t a method at all. It is however, a teaching style and program that is based on sound shooting theory, modern, effective, teaching skills, leadership, and best practices for all three. It has taken many years, and the work and contributions of countless students, friends and colleagues to make CSM a reality. I can honestly say that I think it will remain, 60 years on, a work in progress. Posted January 24th, 2015 by CSM Instruct & filed under Shooting Destinations. The Virginia Gun Club at The Homestead in Hot Springs, VA is the first resort gun clubs to have all of the instructors become CSM certified instructors. The class was held at The Homestead in October 2014. Since that time the club has implemented the CSM Matrix Target set up on their courses, making The Homestead the only resort in the country where you can go shoot a CSM Matrix course. We would like to say thank you to David Judah, Matt Fussell, and all of the excellent instructors at The Homestead. Without your valued support, this would not be possible.